Which current or past TV show would you most like to see "mashed" with Austen? How do you think it would turn out/what appeals to you about the pairing? ME: Personally, I vote for all the things. Northanger Abbey + Ghost Hunters. How I Met Your Mother (even though I don't like HIMYM) + well, any of them, really. Pretty Little Liars + Mansfield Park, wherein all of the MP characters have their various secrets and turbulence, and you don't know who to trust. I mean, can you imagine? The more I think about this, the more I want to see it. . . What about the rest of you? What do you want to see? ALEXA: Um ... that's super hard, as I don't watch a ton of TV. KAREN: I can't think of anything! ALEXA: My instinct is to reach for something ridiculous, like Bewitched. ME: Honestly, I think the more ridiculous, the better. ALEXA: Darcy the warlock marries your average girl to his interfering aunt's distress. Watch him struggle to blend in with mortal society. Actually, that would probably be a ton of fun. ME: I could totally see it, actually! CECILIA: I was just speaking to a friend about how much I wish I could experience Friday Night Lights for the first time again, and maybe this could be the way to do it. ME: You know, I always did mean to watch FNL. I might actually watch it if it was paired up with Austen. CECILIA: The small Texas football town highlights class struggles, for wealth and education, and lends itself to a new interpretation on the countryside pastoral setting that Austen is so fond of. And while Riggins is no wealthy snob, he certainly has the brooding down. ME: And you know, you're definitely not the only one feeling this pairing, because there's been a few JAFF books released in the last couple of years that were described as "Friday Night Lights meets Jane Austen." Like this. An this. MARIA: I’m probably the weird bird here—nothing new about that for sure. But my husband and I love to watch Elementary, a modern adaptation of Sherlock Holmes with Watson being Joan Watson, not John, and played by Lucy Liu. ME: I've had a couple of people recommend that to me, actually! MARIA: It’s really a fabulous incarnation of Holmes. And, at least for me, it doesn’t take too much imagination to see Darcy and Elizabeth in the Holmes and Watson roles. ME: Um, I could totally get behind Darcy & Lizzie solving mysteries. MARIA: Granted, Elementary isn’t a romance, but if you mixed it up with P&P it could be—right? ME: Could Caroline Bingley be Moriarty?! MARILYN: Jane Austen meets Wonder Woman!! ME: Anything + Wonder Woman has got my vote, tbh. MARILYN: *nods* Not only would our TV heroine be quick, strong, and virtuous, she would also be able to repel evil antagonists with her rapier Regency wit and her clever literary comebacks. I can see this being a big network hit :). ME: You had me at Gilmore. MELISSA: I think Rory and Lorelai would make perfect Austen heroines. ME: Actually, I think you could be onto something there. Plus, Rory always did love her classics. . . Alrighty, Laurie, whatcha got for us? You're looking a little too gleeful. . .
LAURIE: *rubs her hands together maniacally* Darcy’s Angels: in which proper gentlewomen-turned-badass-private detectives Elinor Dashwood, Anne Elliot, and Emma Woodhouse sneak out of their well-appointed homes at night to fight crime for their elusive boss, Mr. Darcy, who communicates with them only via carrier pigeon. ME: I mean, I did just say I could get behind some sleuthing and crime-fighting, so. . .
LAURIE: Elinor and Anne make for a clever pair of sleuths but spend much of their time trying to corral Emma, who is forever chasing after the wrong suspects. LAURIE: Game of Crones: an epic fantasy set in the British Isles in which the titular crones—Lady Catherine de Bourgh, Mrs. Norris, and Fanny Dashwood—battle one another for control of, well, pretty much everyone who has the misfortune to cross their paths. LAURIE: Until, that is, a trio of beautiful young enchantresses—Elizabeth Bennet, Fanny Price, and Elinor Dashwood—turn the crones into fire-breathing dragons whom the girls ride through the skies of Britain. Mostly because they can, but also because it’s hella freezing in those muslin gowns with all that rain and no central heating. ME: *gasps* Stop! You're killing me! LAURIE: I knew that would make you laugh. ME: I gotta be honest, I was the most eager to see what people have to say for that one. The mashups could be SO INTERESTING. ME: The possibilities are endless! And horrifying! 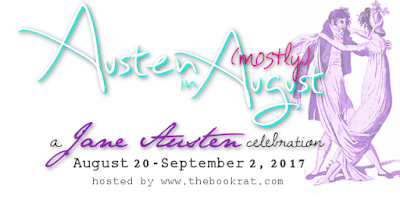 So, fellow Janeites: what would you want to see mashed together? And would you tune into any of these potentially glorious trainwrecks? Let us know in the comments! Also, extra thanks to Laurie, because I pretty much pulled our entire conversation verbatim from our hilarious email chain. I want to see these mashups, you guys. Caroline Bingley as Moriarty? I can definitely get behind that. Especially with Darcy and Elizabeth as Holmes and Watson. Plus Darcy in Bewitched! Love it all. You guys are awesome. I'm such a Midsomer Murders junkie that I could definitely see an episode paired with Austen's stories. Lady Susan characters for sure. Imagine Fanny's hysterics in being grouped with the crones!!!! Excellent choices, ladies, and hillarious too. How about The Big Bang Theory + Austen? I don't know which pairing is suitable though. I love the tv show Game of Thrones so I would like to see that mashed up with P&P although I would hate to see ODC killed off hopefully they would somehow get a HEA by the end. Ohhh, these were too funny! !